This is the first time this century that I haven’t been to the bookfair. Feels a bit weird, but also quite nice. Instead, I’ll try to make the Anarchist Bookfair in London, October 18. Just got confirmation that the Violence exhibition will stay up until October 17! So if you haven’t seen it yet, you still have the chance. Scroll down a bit for info about the exhibition. After waiting for two (three?) years, Komika will finally release Trollet as a Komika Minialbum. Order from Komika Förlag, or buy at the Book Fair in Göteborg this week (Thursday to Sunday). 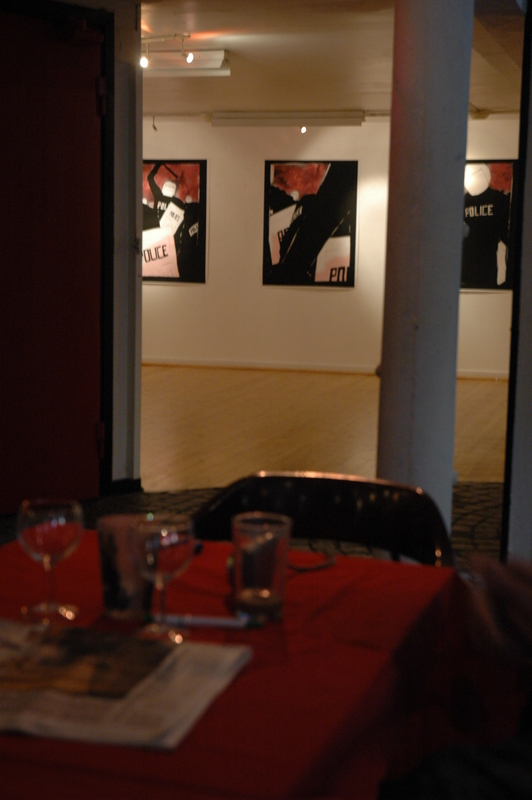 The Violence exhibition is up and running. So is the European Social Forum. And at the same time as Violence opened, fittingly enough, something else took place. The local cops stages a wild protest against their own union. I wonder if they had a permit for their demonstration. I wonder who will beat them up if their thing goes out of hand? Well. That’s it. I’m going to bed. 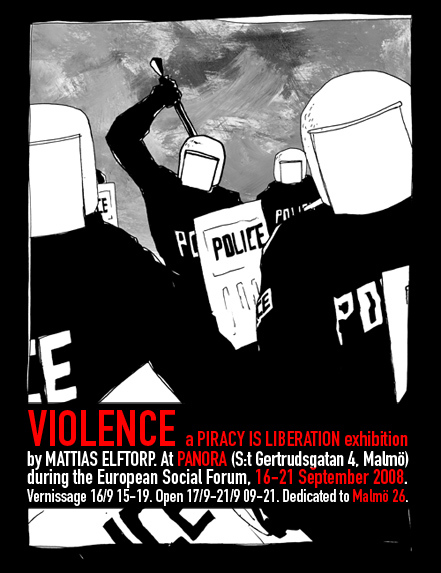 This is an exhibition of the story called Violence (which will be published in Piracy is Liberation 006: Violence). It is also a comment on the political climate in Malmö. Police are sent in by social democrats against constitutionally protected actions taken by the union. They force children up against the wall, accusing them of crimes they couldn’t possibly have committed, simply because they look like immigrants. Time and again, the police prove that they aren’t here to protect us but to control, to hold anyone back who dares to stray outside of the norms of what it’s supposed to mean to be Swedish. 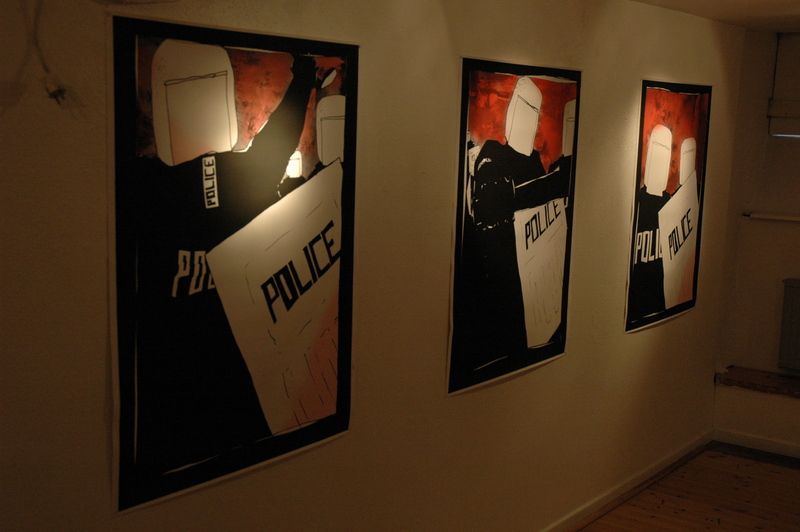 The exhibition is dedicated to Malmö 26, the 26 who were indicted for being on the picket line against a sushi restaurant at Lilla Torg in Malmö.